Touil’s freedom marks a shift in our democracy – although he is unaware of it. Touil is free, the judges say ‘No’ to the Identification and Expulsion Centre and to expulsion. 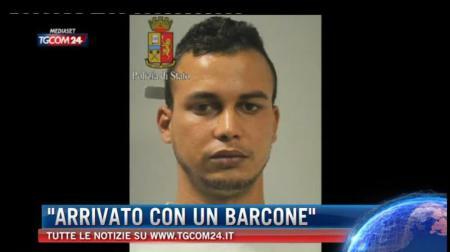 On 20 May 2015, Abdel Majid Touil, a 22 year old Moroccan, was arrested by Italian police in Milan and accused of taking part in the attacks on the Bardo National Museum. He was released a few days ago, on 30 October. His story is worth telling. On 18 March 2015, a commando killed 21 tourists (including four Italians) and a police officer at the Bardo Museum in Tunis, adding to the list of attacks on westerners, such as Île-de-France attacks and the Copenhagen shootings. The Tunisian authorities issued an international warrant for a man they suspected was involved in the shooting. A very large demonstration was held in Tunis, shortly after the outrageous murders, attended by a number of foreign prime ministers. The Italian authorities arrested Touil on 20 May, on accusations of ‘international terrorism, premeditated murder and kidnapping’. Unlike in France or Denmark, the suspect was not already under surveillance or investigation, and was not arrested or killed by Special Police Unit officers whilst on the run. Instead, Toulis was arrested by local police after his mother reported his passport as missing. The international press reported the arrest widely and some even went as far as to report the reactions of Italian politicians. The Italian government portrayed the arrest as evidence of its strong and active commitment towards its international duties. The Prime Minister Matteo Renzi’s tweeted his satisfaction and appreciation of the ‘Italian police’s professionalism’. Most newspapers had already decided that the accused was guilty but a few Italian mainstream journalists delved deeper and showed the gaps in the story. Putting to one side the circumstances of the arrest, Touil first arrived in Italy (at Porto Empedocle, Sicily) on 17 February on a boat from Libya. He was fingerprinted and received an expulsion order (as he was entering illegally, according to Italian law) in which, according to the journalist Carlo Bonini, his name was misspelled. The obvious question is: why should he bother registering in Italy just one month before taking part in a terrorist attack? It is perhaps possible that he arrived and then left again, but as another journalist Pietro Colaprico pointed out, Touil attended his Italian class in the days surrounding the massacre. This was confirmed by both his Italian teacher and the school attendance register. Nonetheless, the Minister of the Interior Angelino Alfano claims the opposite: ‘There is no evidence Touil was on Italian territory.’ This gives rise, though, to another question: How did Touil manage to be in Italy so soon after the attack? Throughout, accusations against Touil have changed. The Tunisian government first described Touil as providing ‘logistical support’, then later told Milan’s Public Prosecutor’s Office that he ‘provided the weapons for the attack’ although Italian journalists reported that the magistrates in Milan were still waiting for the legal file with the formal accusations. Bonini, in a later article, quotes intelligence sources as claiming that ‘there is no formal investigation’ against Touil. In summary, the accusations against Touil are unclear, there was no proper investigation and there are doubts about whether he was in Tunis at the time of the murders. Touil pleaded not guilty. Despite this, newspapers all over the world published photos of his arrest and he ended up in a high security prison reserved for criminals like terrorists and mafia bosses. After five months in strict isolation, and physically and emotionally devastated, the court of Milan refused to allow Touil’s extradition because he would risk capital punishment in Tunisia, illegal under the Italian Constitution. Meanwhile, charges have been dropped due to lack of evidence. Touil was declared innocent and walked free. After leaving prison in Milan, Touil was transferred to the Turin CIE (Identification and Expulsion Centre), because of his illegal immigration status. He spent two days there but luckily, ‘according to the principles of the European Court of Human Rights’, cannot be returned to Morocco as his life would be in danger there. His lawyers still face the challenge of finding a way for him to remain in Italy legally. Following this Kafkaesque journey through the Italian justice system leads us to the conclusion that Abdelmajid Touil made two mistakes: he is an illegal immigrant and he came on a boat. This, apparently, is enough to remove the presumption that he is innocent unless proven guilty, to put him in prison for five months and to tarnish his reputation internationally as a terrorist. Originally written for the Struggles in Italy blog.